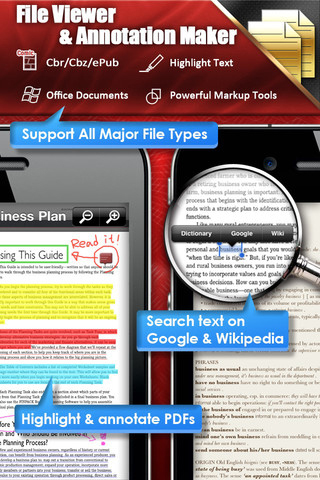 PDF Reader Pro iPhone App Review. PDFs have become perhaps the easiest way to share text that is sure to preserve its formatting no matter the viewer. No need to install fonts on your computer to view a PDF file exactly as the owner intended. Before the rise of the mobile, I think everyone was looking at Adobe Reader as the mainstream solution to viewing these PDFs. It was, and still is, unarguably the better choice. But now, in the mobile age, the market is split and the contenders are many. They all say they do this or that, they all boast on their unique user experience and they all strive to provide the best sharing options. Most of them however have one thing in common: they fail at their jobs. Truth be told, you need to spend some hard-earned cash to get your hands on a good app that doesn't fall flat on its face. With PDF Reader Pro, you might not have to. The iPhone/iPad app costs you 6 bucks and gets the job done admirably. What is PDF Reader Pro? 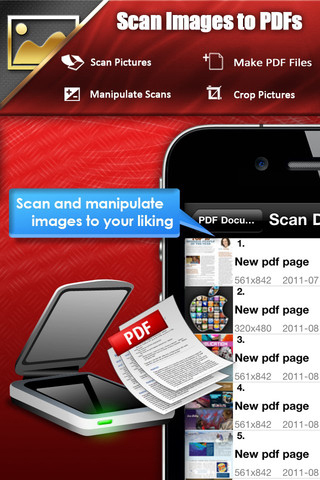 At its core, the app lets you read PDFs on your mobile device. Putting aside for a second the fact that iBooks lets you do exactly that as well, I considered this app and I wasn't sorry I did. It's fast, reliable and I never had it crash yet. Its main advantage, I think, is its ability to download, load and view large PDF files without the nasty lags you sometimes get with other readers. The scrolling between pages is fast and smooth and the text is always crisp clean. There's not much more you can ask from a PDF viewer. But PDF Reader Pro is so much more than just a viewer. You can add comments and annotations to your files, even leave handwritten notes. You can highlight or underline any piece of text in your PDFs or markup your documents using lines, arrows, circles or rectangles. In addition, you can fill in and sign PDF files, convert a variety of formats into PDF and sync your PDFs with iCloud, Dropbox, GoogleDrive or SugarSync. Another cool addition is the ability to create your own PDFs using either images from your photo library or even scan a piece of paper on the spot. This is an area where PDF Reader Pro excels. 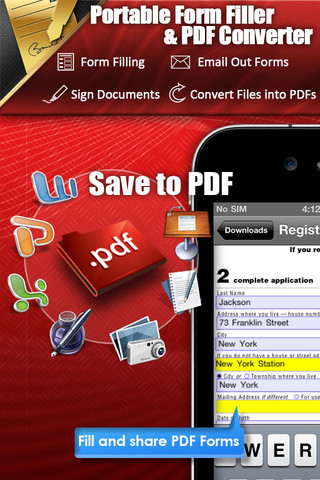 You can transfer files onto your PDF Reader Pro via WiFi transfer or download them via the built-in browser. When transferring them via WiFi, all you have to do is access an automatically generated web address (IP) from your desktop computer and upload the files there. They will automatically be transferred to your iPhone or iPad. And the transfer is wicked fast. You can alternatively backup everything and also transfer files via an USB connection, but where's the fun in that? If you have a Google account and are signed up with GoogleDrive, you can access and edit your files there. Everything gets backed up automatically as well. Not to mention that should you own an AppleTV, you can showcase your files via Air Play or print them via Air Print. Say good-bye to cables! In the end, I found that PDF Reader Pro provides a powerful combo that simply negates the need for any other PDF-related app on my iPhone. Kudos to the team for their effort. Developer: YUYAO Mobile Software, Inc.
What do you think of PDF Reader Pro ? Scroll down for our comment section and let us know! Very good and has many improvements exciting new. Adobe reader pro is very nice application which is run on smartphone. It is beneficial for me to read pdf files now. I like this app very much.